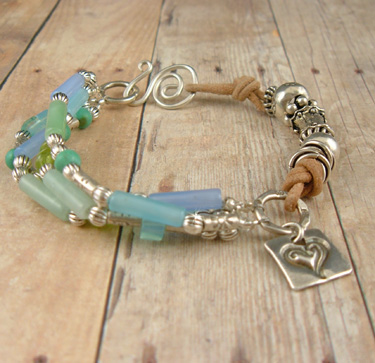 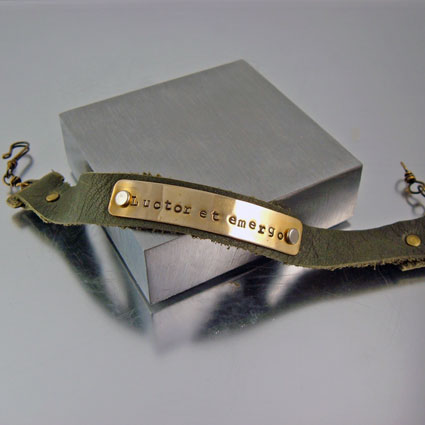 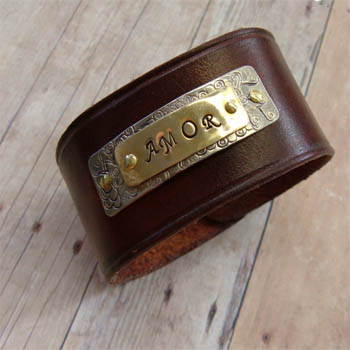 I make handcrafted leather bracelets in a variety of styles. 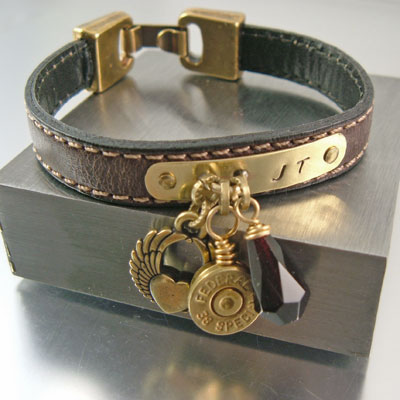 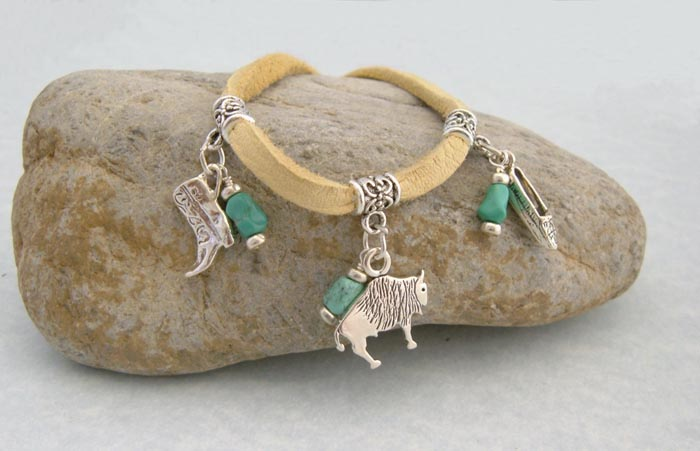 Leather with sterling, fine silver, brass, copper, and with natural gemstones or beads, I braid leather, age it, make cuffs and create styles which are appealing, classic, modern or have an American West feel. 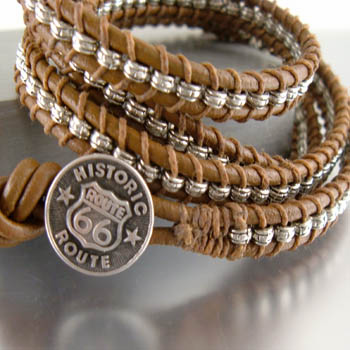 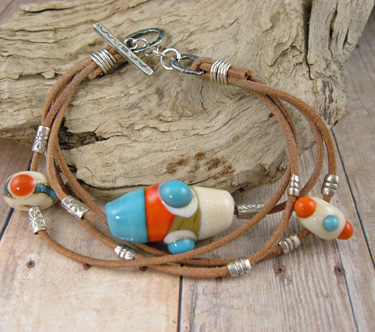 Artisan Leather Bracelet - "Agua Fria"
Artisan Leather Bracelet "Suave Sante Fe"
Leather Wrap Bracelet "Route 66"
Leather is a natural material which is both beautiful and durable. 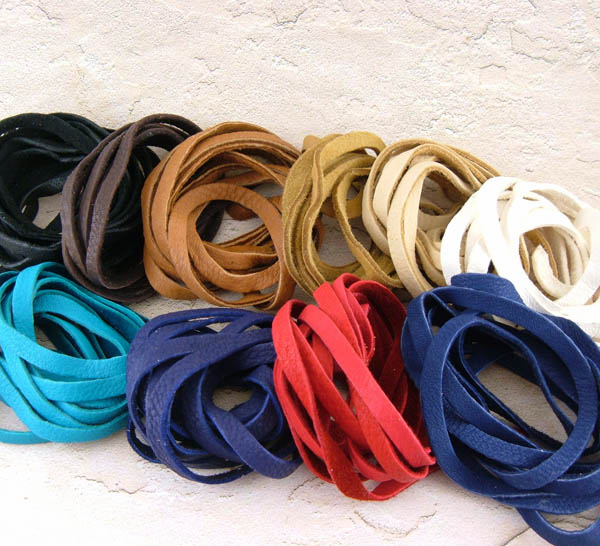 You�ll see unique grain patterns and subtleties of colors both in the natural and dyed leathers. 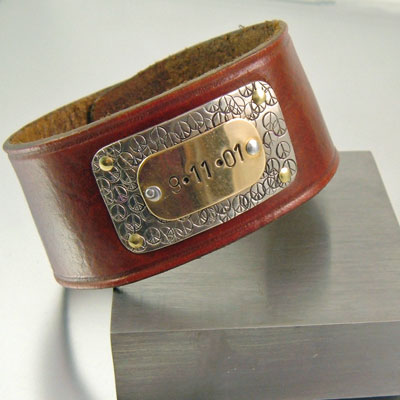 Time and wear will enhance the patina of your leather giving it a mature and richer color and softer feel.